Mattias to host "Vinter i P1"
Mattias will host an episode of the epic radio show “Vinter i P1”. Read more here. A video from when Alexandrov Klum held a lecture for Nikon. This weekend there is a convention called Stockholms Photography Day (Stockholms Fotodag) with interesting seminars and exhibitions. Mattias and Iris Alexandrov are there to give a lecture at 5.15 pm. Don’t miss it! Link here. Mattias is nominated for the prize “Speaker of the Year” that Talarforum gives out each year. Link to vote here! Come and see The Young Sea at Stockholm Film Festival tonight at 4 pm! Afterwards there is a Q&A with Mattias and Iris Alexandrov Klum. Link here. Mattias and Iris are on their way to Tanzania for another trip with Zoom Photo Tours and also to work on several own projects. Swedish release of our latest documentary! Our latest documentary “Havets Öga” is now released in Sweden and available on TV4play and C More play! A unique film about the life of the Baltic Sea where National Geographic photographer Mattias A. Klum along with his team follows the cycle of seasons around one of the most beautiful yet also threatened inland seas of the world today. “Havets Öga” shows the hidden life and beauty of the few but amazing species that live in the Baltic Sea. Mattias and Iris are headed to Hawaii to fllm and photograph for their upcoming performance at Stockholm Concert Hall next year. The Young Sea will screen tonight at the “Darsser Naturfilmfestival” in Zingst, Germany. If you speak German, you can read more about the festival here! 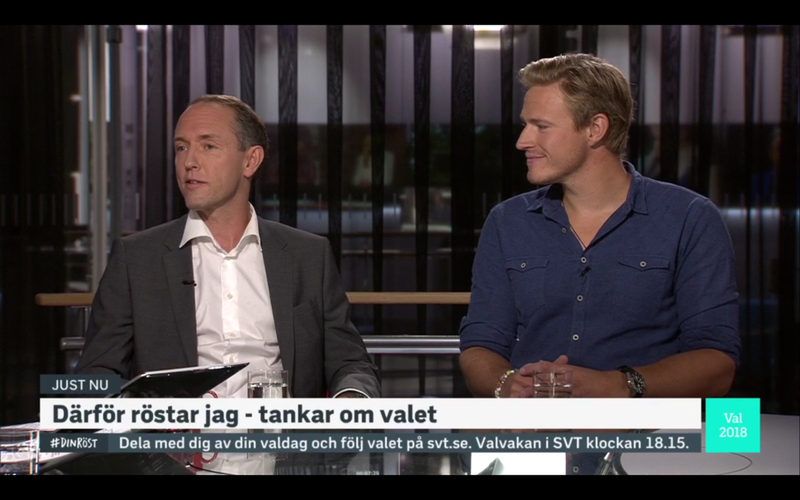 Mattias was on Swedish Television on election day in Sweden, together with Aron Anderson, discussing the importance and reasons of voting. You can watch his bit at 3:25 in this video here. The English version of our latest documentary The Young Sea is now available to buy or rent on iTunes, Google Play, Amazon and Vimeo! Voister.se interviewed Mattias when he was in Tylösand for a lecture a few weeks ago. Here is the result! An interview that was featured in magazine Kamera & Bild earlier this year is now available to read online! Here is the link. Panel discussion with all three speakers. Moderated by Christer Sturmark. 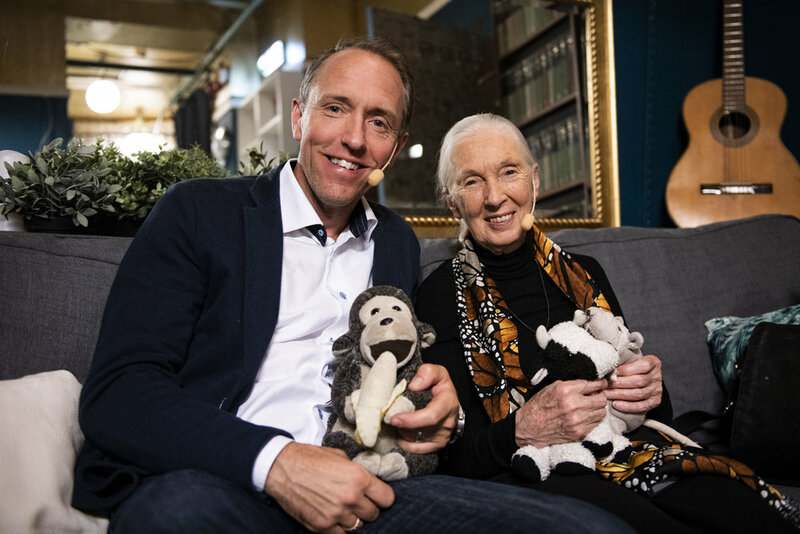 The local newspaper in Mattias hometown of Uppsala, did a piece on the upcoming book with Dr. Jane Goodall. You can read it here. Join Iris and Mattias in Tanzania! Iris and Mattias are hosting a photo expedition in Tanzania this fall and If you havn't already got a ticket, now is the time! Use the code "irismattias2018" when purchasing your ticket to get a 500 USD discount. First come, first served! Check it out!